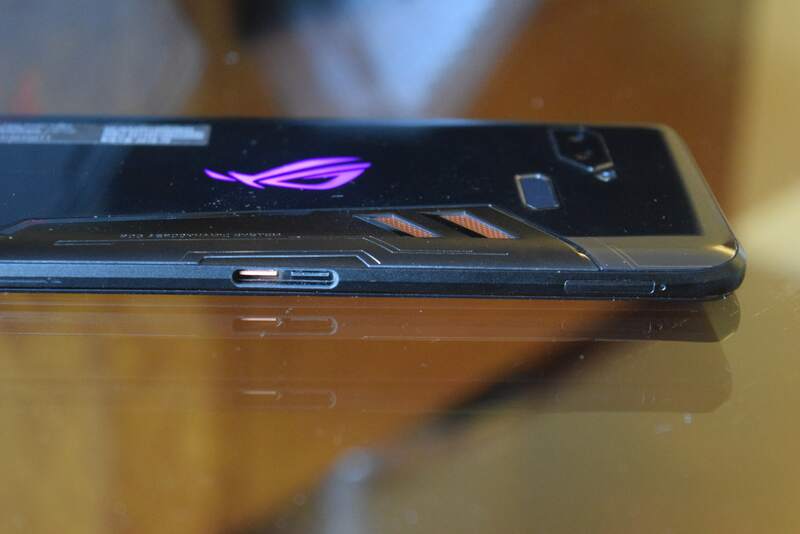 Earlier today, Asus launched its gaming phone ROG phone in India. The phone costs Rs. 69,999 and will be available exclusively from Flipkart.com. 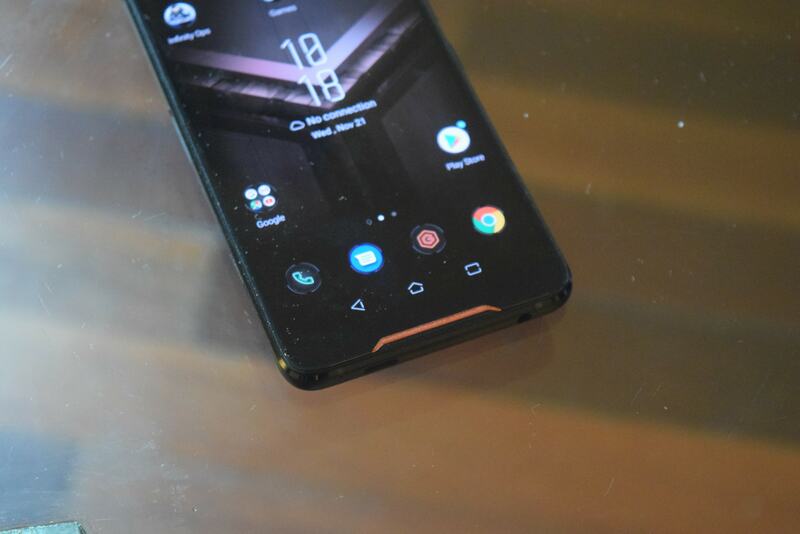 This is the first phone dedicated for gamers in India called ROG phone. 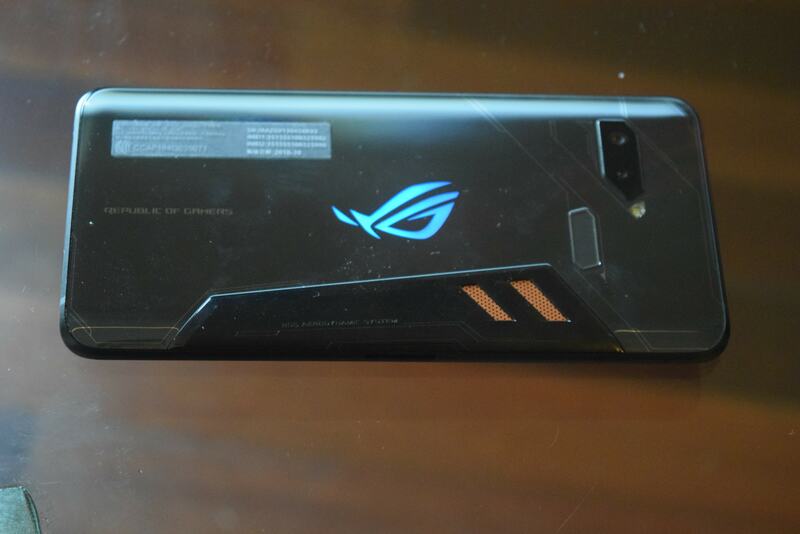 Asus has a subdivision called ROG or Republic of gamers that work on gaming devices. This phone comes from there and this was my first time checking a first true gaming phone. 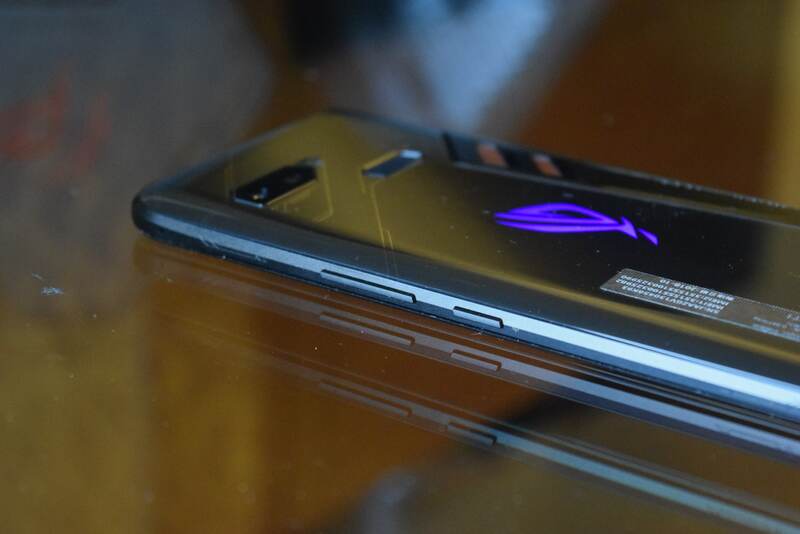 ROG phone is so different from outside. Few may find it beautiful and few may call it ugly but gamers will surely love it. This doesn’t feature the regular smartphone design you usually see. This phone is 8.3 mm thick and has 200 grams of weight. The dual camera, flash, and fingerprint sensor have a different geometric shape. At the center, there is a big ROG logo. At the right side of the back, there is a heat sink that includes a copper heat spreader and carbon cooling pad underneath this cover. This cooling chamber keeps the phone cool. Even if this not enough, the company also offers a cooling pad accessory. 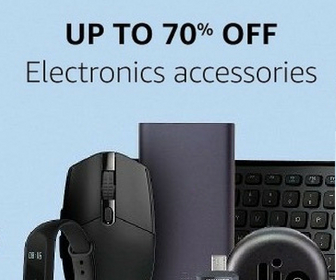 At the bottom, there is a headphone jack and a USB type-C port. It also includes two additional Type-C port on the left side of the phone. These are used to attach different ROG phone accessories. At the right side, it has a power button, volume rocker and Air Trigger point that I will explain later in the video. The phone is IPX4 rated so it is resistant to water splashing from any direction. The phone has 6-inch AMOLED display with Full HD+ Resolution. This display has 90Hz of refresh rate and 1 ms response time. You can also switch to 60Hz refresh rate if you want. The display is also HDR ready. The screen more smooth as compared to other flagship phone and it is more reactive. As the display is HDR ready, you can enjoy HDR video content. The display offers good colors and viewing angles are fine. The brightness is also good. There is also a Gorilla Glass 6 protection. It packs 2.96GHz octa-core Snapdragon 845, Adreno 630 GPU and 8 GB RAM. The company has also tuned this setup for offering the best possible performance for offering a good gaming experience. I tried several high end games on the phone and it is better than any other phone with same processor and RAM setup. The phone is very smooth and gaming experience is amazing. The phone runs on Android Oreo 8.1 out of the box with ROG UI. The ROG UI has tons of features specially designed for gamers to have a better control over their gaming. There is an app called X mode. When you open it, it shows the current temperature of the phone, CPU Usage, and RAM usage. It lets you change the clock speed of the phone, the fan speed of the cooling pad accessory and control aura lighting of the logo at the back. You can also create a profile for different games specifying the clock speed for the specific game. The most interesting feature for gamers is the Air Triggers. The company has added two pressure-sensitive points at right side of the phone. While playing the game, you can use these two points are two extra buttons. These can be mapped to any action of the game and then use it while playing the game. It uses ultrasonic technology, so you just need a light touch for using it. It means, you have two extra controls for gaming than a regular phone. The phone has a dual front-facing speakers that are really loud. It has dual NXP 9874 smart amplifier,Hi-Res audio, DTS Headphone:X 7.1 virtual surround sound for headphone. It also has outdoor mode that makes vocals even louder. This phone is so loud, that You don’t need to pair the phone any Bluetooth speaker for listening to music. It also supports Qualcomm AptX for high definition audio streaming over Bluetooth. ROG has face Unlock that is really fast. It also has a fingerprint sensor to unlock it. Fingerprint gestures also allow you to opening or closing notification tray by swiping down or up on the fingerprint sensor. The phone also has a high-end camera setup. It has a dual camera on the back. The 12 MP primary camera has a F/1.7 aperture, PDAF, and 4-Axis OIS. The secondary wide-angle camera is of 8 megapixels. It also has 8 megapixels front camera with f/2.0 aperture. The phone can record 4K videos at both 60 and 30fps. It has dual band WiFi, Bluetooth 5, Wifi Direct, NFC and GPS connectivity. The phone also supports 802.11ad that can offer up to 4.6Gbps Wi-Fi speeds. But this wifi standard is not yet available in India. 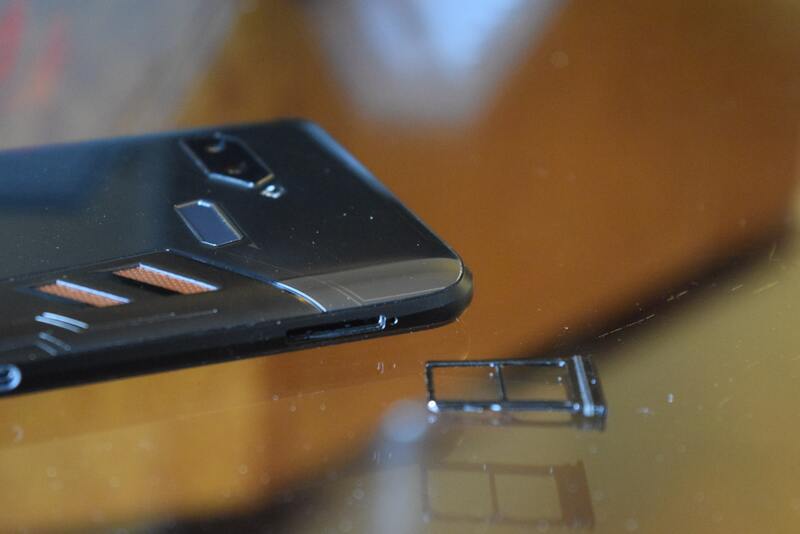 This is also a dual SIM phone. The phone also has 4000 mAh battery with support to 30W fast charging. It also features AI & scheduled charging for improving battery life. 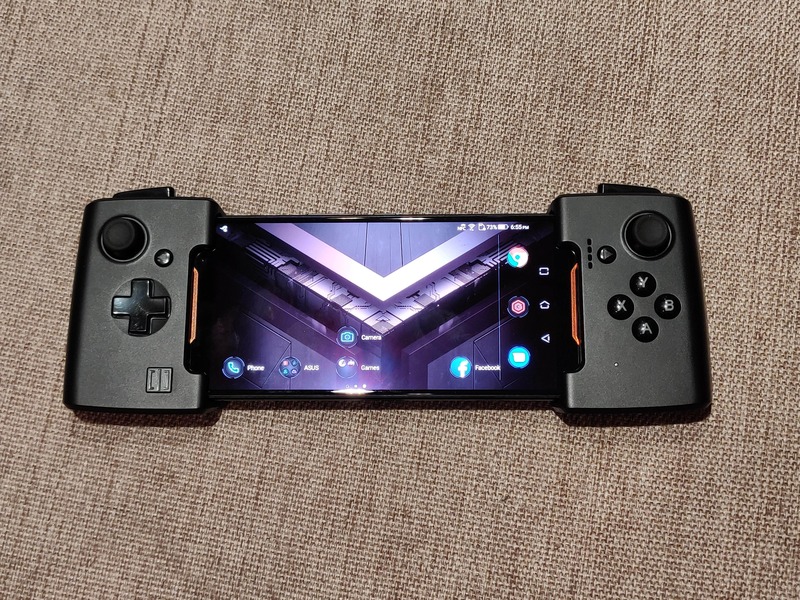 Now let us talk about accessories you can buy for this gaming phone. The first one is the modular case. Modular because you can detach the middle part to use the case along with a cooling pad accessory. 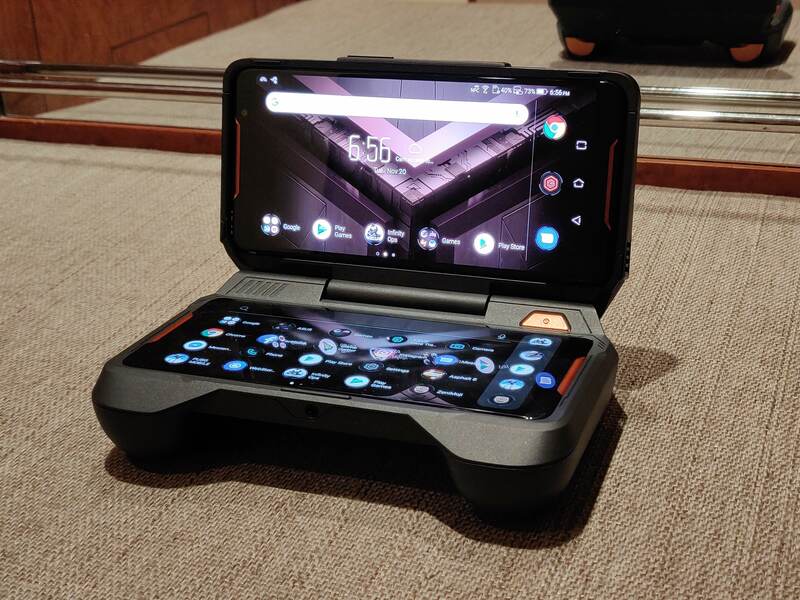 The TWINVIEW DOCK connects the ROG phone into a dual-screen console. 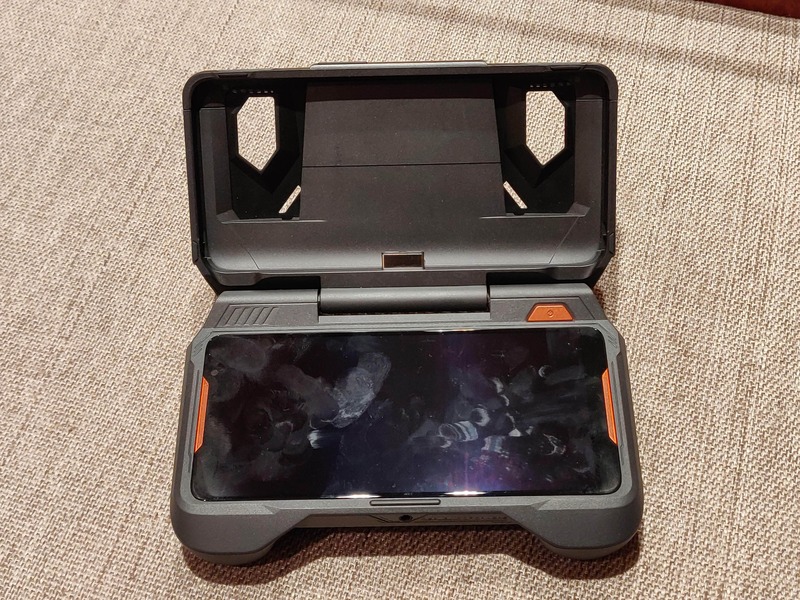 It gives you an additional 6-inch display, front-facing quad-speaker system, two extra physical trigger buttons, and high-capacity 6000mAh battery. You can connect your phone at the top portion and then enjoy gaming like a console. 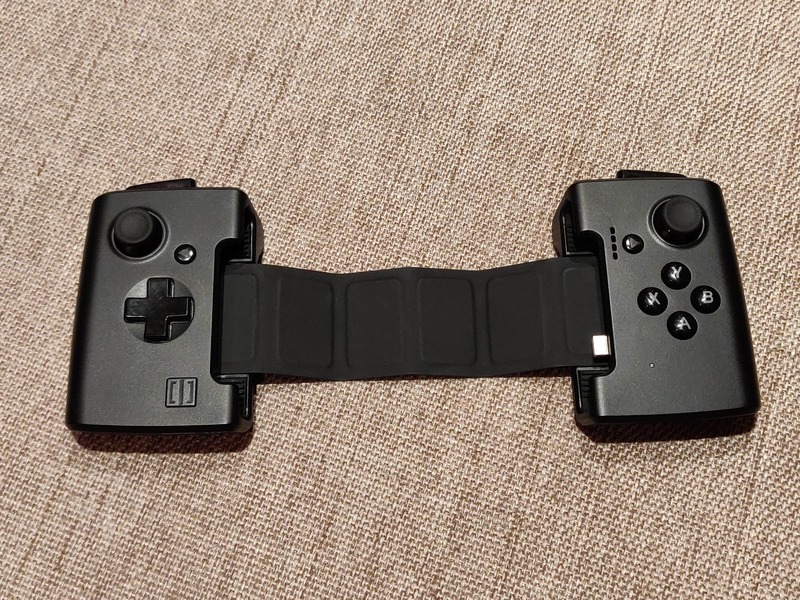 The GAMEVICE CONTROLLER makes it a portable console. It has dual analog joysticks, left and right fire triggers and bumpers, a D-pad, along with A, B, X, Y and L3, R3 buttons. 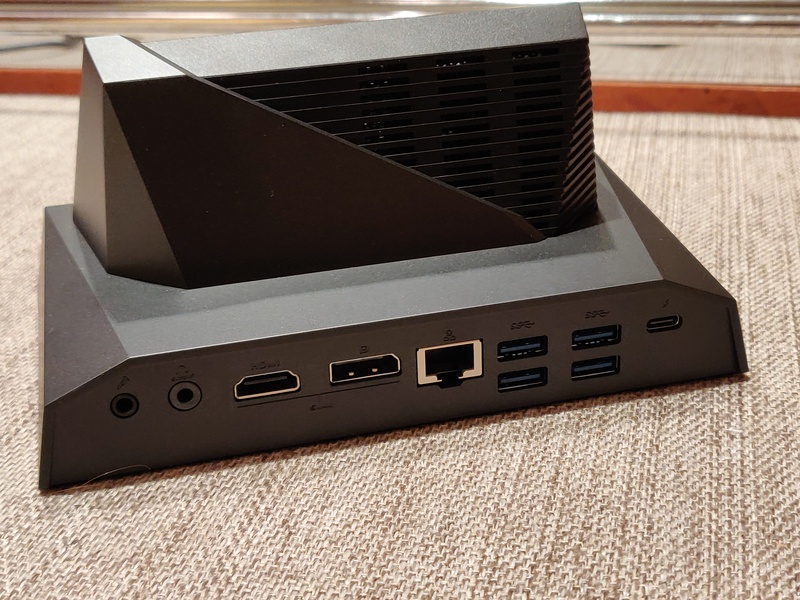 This is a MOBILE DESKTOP DOCK that lets you connect the phone to an external 4K UHD 60Hz monitor, mouse and keyboard for gaming on the big phone. This dock also has wired gigabit LAN port and the audio output port for the dual-channel stereo-sound system. It also has 4 USB 3, 1 Type-C port and SD card slot. What’s missing? I guess nothing. 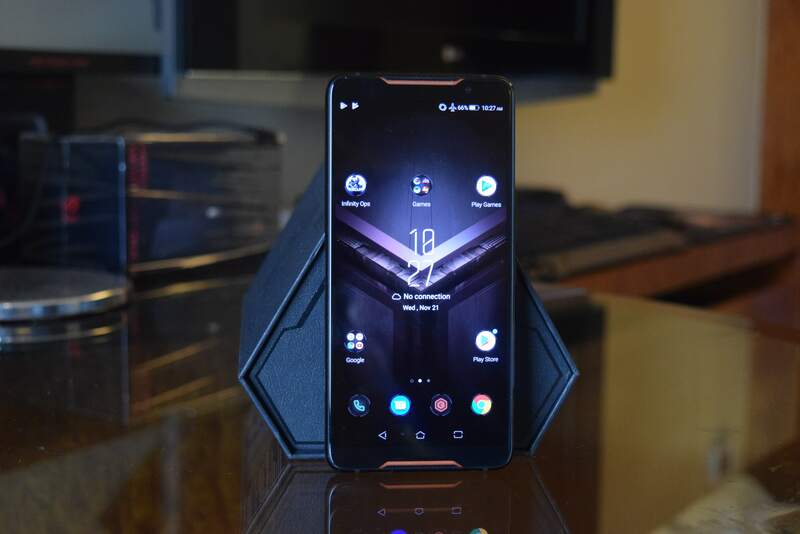 It is really an impressive phone with high-refresh-rate display, top-notch specs including high-speed connectivity options and extra add-ons for gamers. It has everything you look for in a flagship phone but gaming ready out of the box. If you really like mobile gaming, this phone is for you. Even if you don’t want a gaming phone, thisphone has everything you would like to have in your phone. 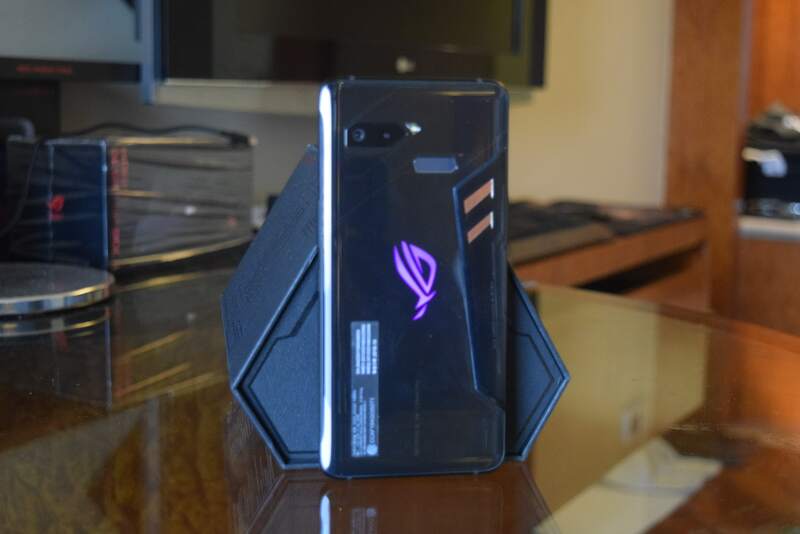 What do you guys think about ROG Phone? Let us know your views in the comments.